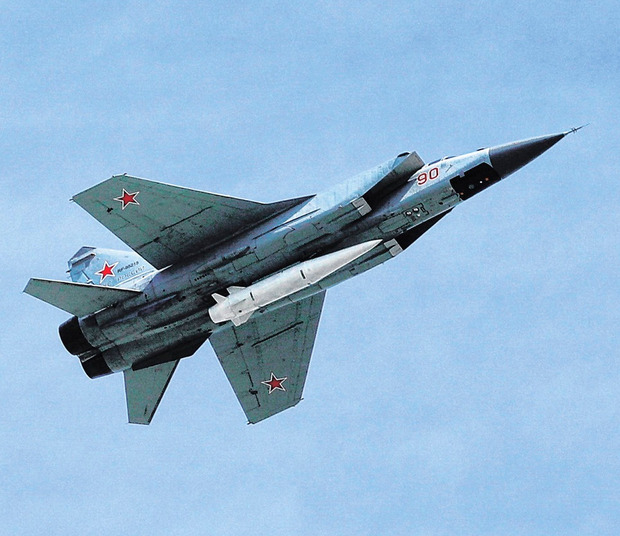 Russia’s Federal Security Service (FSB) has raided a space research facility after a suspected leak of hypersonic missile secrets to western spies. The state space agency Roskosmos said its security staff were co-operating with FSB officers on a criminal case. Russia’s ‘Kommersant’ daily says about 10 staff at a Roskosmos facility called TsNIIMash are under suspicion. A director’s office was searched. Hypersonic missiles fly at more than five times the speed of sound (Mach 5). On Thursday the Russia defence ministry released video of two new hypersonic missile systems – called Kinzhal and Avangard. Both can deliver nuclear warheads. But Russian military expert Pavel Felgenhauer told the BBC he was very sceptical about their effectiveness and dismissed the video as “propaganda”. He called the spy investigation “politically embarrassing”. The suspects could be charged with high treason, ‘Kommersant’ reported. TsNIIMash is a top scientific subsidiary of Roskosmos. It is in the town of Korolyov, in the Moscow region.